Cash for Windows Phone support? Microsoft giving OEMs an offer they can't refuse? 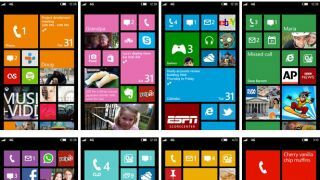 According to rumour, Microsoft will give up to $2.6 billion (£1.6 billion, AU$2.9 billion) to OEMs to support building Windows Phone devices. The head of communications at the company, however, is calling that number "complete fiction" in answer. The rumour had been started by Eldar Murtazin, chief editor of Mobile Review. In a Tweet, he claimed that a few OEMs that were coming back to Windows Phone in 2014 would get wads of cash from Microsoft in exchange. Out of those, Samsung was supposedly taking the lion's share with more than $1 billion (£600 million, AU$1.1 billion) of the payment. Frank Shaw, Microsoft's head of communications, has come out and called the numbers "complete fiction" in a tweet yesterday. He instead admitted that Microsoft does spend money on OEMs, but in co-promotions. He claims that they're covering OEM's R&D costs and helping them to switch to Microsoft's OS in order to launch new devices. Despite this, there is certainly a strong incentive for Microsoft to pander to OEMs at the moment. Nokia is heading into the sunset, and its current dominance of the Windows Phone market will be transferred back to Microsoft. A precedent was also set when Nokia received sums of money every quarter for their investment in the platform. Nokia is a premium partner but now that has been done it's not unreasonable to assume Microsoft would try to entice other companies. The money doesn't have to be cash either. It's likely that this will include discounted or free licensing on the operating system, direct development support and other perks that Microsoft might be giving away. Even though the company is denying it, there's a strong possibility that behind the scenes cash and promises could be being swapped between Microsoft and OEMs for the future of the Windows Phone.